flush with the success of the first Jumbo, Scitec Nutrition version brings new of its most popular product, Jumbo Professional, which unlike its predecessor created for those with a fast metabolism or very high energy demands this focuses on other complexion and activities to meet those needs that each person needs offering the perfect balance and maximum quality. As we said the new born following the success of its predecessor version, but this time, Scitec has focused on other people, since its previous product focused on a very specific audience, they have now decided to also meet the needs of those who do not have a normal metabolism rather fast, but / athletic or taking into account the demands of training focused on fitness. To do this new formula have changed their proportions "recipe" resulting in a greater contribution of high quality protein per dose, 52 grams (in the above were 50), specifically. This means that the dose has been reduced to 162 grams. Assuming also a reduction in calories and carbohydrates because, as we said, focuses to cover those nutritional needs of other types of activities and metabolisms so that despite this reduction no more contributions are needed. 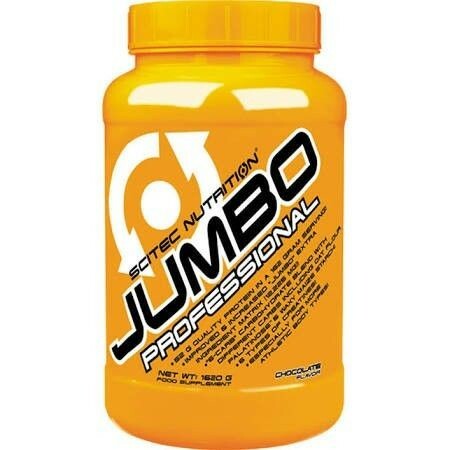 Jumbo Professional is also designed with whey protein quickly absorbed, which together with the protein intake slow absorption we do every day the body we have a smooth entry of amino acids 4 to 6 hours after each meal. We also find complex carbohydrates "6-CARB" carbohydrate containing slow and quick absorption, including oatmeal, Patatinose and Vitargo. 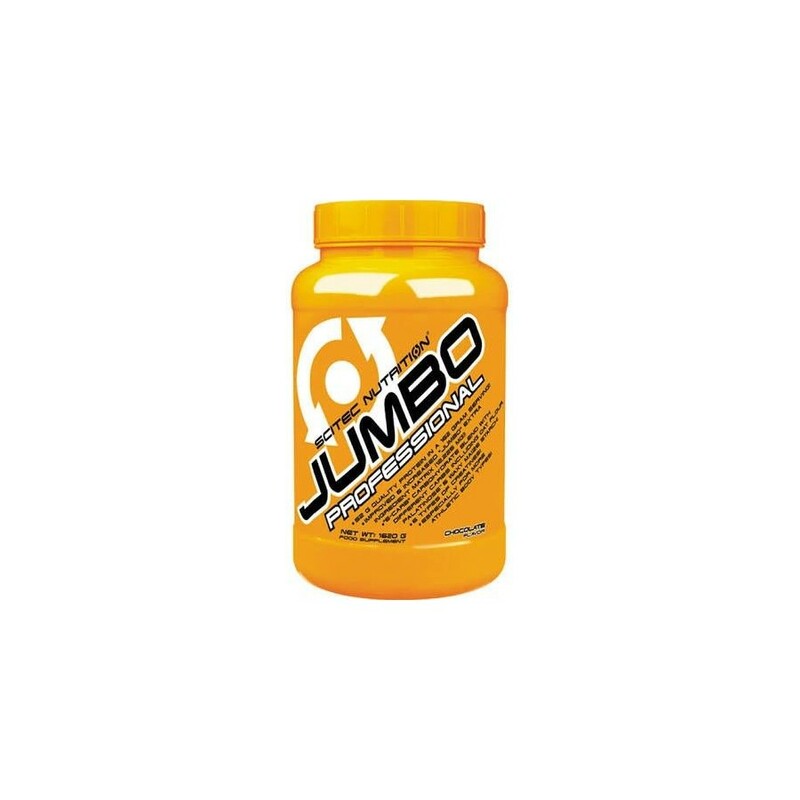 As always Jumbo Professional is free from Aspartame. in case of doubt consult a nutritionist - - making a tight daily dose to body weight and physical activity of each person is recommended Jumbo Professional can be taken throughout the day or break it and take it before training, before, during or after.